Social networking enables business owners to get extreme exposure for very little or no cost. You can use social networking sites to build your reputation, brand your business and increase your customer base. The marketing potential of these sites is phenomenal! Now you can’t just register, make your profile and then never go back. You have to keep your information fresh, add new content, always be looking for new contacts, etc. Meeting new people, whether they be potential customers, business associates, or just people learning the ropes, can be very beneficial for your business and your reputation. These sites allow you to make yourself much more accessible than just having your own site. Whenever possible, use your business name as your username to help make your business more recognized. 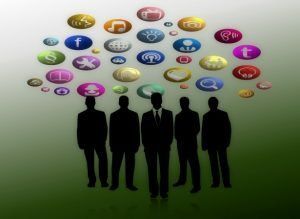 Social marketing sites can also help you get more links thus increasing your search engine ranking. People who find your content and information helpful and useful will link back to you which will in turn cause your own website to become more popular. You can also use your social site pages to gather information and feedback from people on your products. This can help you improve your business and improve customer service. By participating in social marketing you can find partners/associates for joint ventures. You can cross promote and build solid business relationships that can help everyone. By providing good and fresh information, resources and content, you can build trust with your visitors, associates, potential customers, etc., thus building your business a strong reputation. Building relationships is the foundation for a successful business. Adding pictures of yourself and/or videos can go a long way in making your social media marketing more effective. 2. Always be adding new content, links, products, resources, etc. 3. Add friends, followers, contacts, etc. as much as possible. This can be very confusing so start slow. Learn from other social marketers. Study social marketing strategies. Take it one step at a time. Social marketing has made its mark and it is here to stay. You need to utilize these sites to make your mark as well.